Qmobile Noir A300 is a full entertainer android phone with large screen 5.0 inches. .Display of Qmobile Noir A300 is very sharp. Qmobile Noir A300 have a powerful battery 2000mAh which perfectly give you hours of fun. Processor of Qmobile Noir A300 is 1.3GHz Dual-core processor.so you can play games and watch videos so smoothly. Qmobile Noir A300 is with 5 Mega Pixel Back Camera with super bright LED flash will outshine. The brightest and the front of Qmobile A300 is a VGA camera allowing you to make video calls. 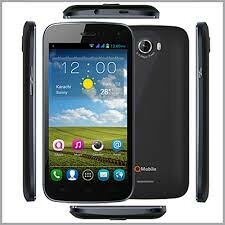 Qmobile Noir A300 is a loaded with android 4.2(jelly Bean) and dual sim. so you can use two networks at a time. Qmobile Noir A300 is available in two different color black & white. How to Flash Qmobile Noir A300 With Spflash tool? The requirements of QMobile Noir A300 is battery backup of 40% to 50%. Download and install Qmobile Noir A300 Usb Drivers. No Password and waste of time! // i am facing this error . any solution?